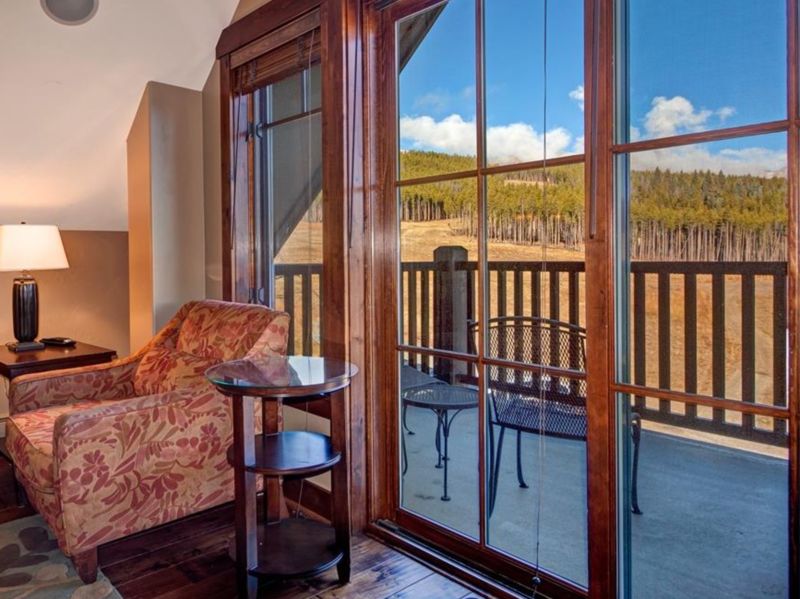 Crystal Peaks Lodge condos for sale offer the kind of 21st century accommodations you'd hope to find at a world-class ski resort like Breckenridge – comfortable décor, plenty of fitness amenities, cafes and restaurants, terrific views and skiing just outside the door. The Independence Chair services Peak 7, which is the newest of the Breckenridge Ski Resort's peaks, with gentle and intermediate runs near the base, and some of the best expert terrain near the peak. 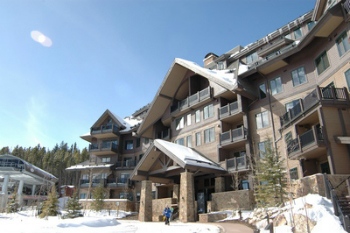 Skiing from condos for sale at Crystal Peak Lodge is truly ski-in and ski-out. At the heart of the new Peaks Village, Crystal Peak Lodge, Breckenridge, CO is high above the town, at the highest point of the gondola and at the base of the Independence Chair. From just outside the entry, you can take the gondola over to Peak 8 and the Colorado Superchair, or ride downtown. Views from Baldy to the Williams Fork Range spread out in front of the lodge and the ski resort and Tenmile Range make up the backyard. And a vibrant backyard it is, with a ski lift straight out the door, chairs and patios for sunning and ski watching. You can leave the car in the underground parking, and ride to town via the gondola or on the free bus. The lodge also runs a shuttle service, year round. A good parking spot at the ski mountain isn’t the only positive to condos for sale in Crystal Peak Lodge. Built in 2007, these condos have high-end finishes, radiant in-floor heat, balconies for catching the big views, lots of well-insulated windows, and membership in the Mountain Masters Association. This membership includes the use of the Peak 8 Aquatic Center, fitness center, bowling alley and two mini theaters for watching DVDs or events like the Super Bowl, with Wii stations and facilities for small private events. Crystal Peak Lodge has units as small as 700 sq. ft. - as large as 2,000 – and include a variety of architectural features and interior designs that makes each one unique. Property this convenient and comfortable is valued highly by short-term vacationers, and can generate rental income for owners. Amenities: True Ski-in/Ski-out! Amenities include hot tubs, workout facility, ski lockers, ski rental shop, lounges, restaurant, media rooms, mini-theater, bowling alley, pool/game room, elevators, lobby and front desk, and underground parking. Crystal Peak Lodge is located at the top of the Breckenridge Gondola on Peak 7, in the new Peaks Village. From the intersection of Ski Hill Road and Main St, go west on Ski Hill past the Peak 8 base area, and find Crystal Peak Lodge on the left. Do you have any questions about owning a condo at Crystal Peak Lodge or any other Breckenridge subdivision? Call us at (970) 453-2200 or send us a message to get in touch with a Breckenridge real estate expert.